Without a doubt one of the greatest film franchises of all time is the James Bond film series. Launching in 1962, with the now classic Dr. No, the series is yet to lose momentum. Each film boils down to a new super-villain showing up and Bond being tasked to stop him while traveling the world. Along the way he racks up millions of dollars in property damage and bedding multiple women. Who wouldn’t want to be James Bond? Well, if you answered, “I want to be James Bond” you haven’t thought it through. For example, in the opening sequence of the 23rd entry in the series, Skyfall, Bond enters into a high stakes chase sequence where he’s fighting a henchman on top of a train. From the looks of the scene it doesn’t even seem to be after 10:00 in the morning. I can’t watch this scene without thinking a few thoughts, “Man, I wouldn’t of even had my second cup of coffee yet,” “Why is it always me that has to be fighting on top of a trains,” and finally “I’m not getting paid nearly enough for this.” You might be asking yourself now what it is that I am trying to get at and the answer is simple. It would be extremely stressful to be a secret agent on the level of James Bond. So I put together a list of the top five reasons you wouldn’t want to be James Bond. Yes people, I know how exciting this sounds on paper but really would it be all that awesome? How well do you do under pressure? I’m not just talking about dealing with simple pressures like meeting deadlines or deciding what you want to eat before the waiter gets back to your table. I’m talking about having to save the world from being destroyed, stopping an insane super villain, and not to mention having to escape some elaborate trap with your current girlfriend. The pressure of saving the world would be through the roof. Imagine having to wake up day in and day out to do that. If you answered yes to that question you’re probably the type of person to sit through a horror movie and say “If I was in that situation I would have done this instead blah blah blah blah.” Don’t lie to yourself you wouldn’t last one minute in his shoes. 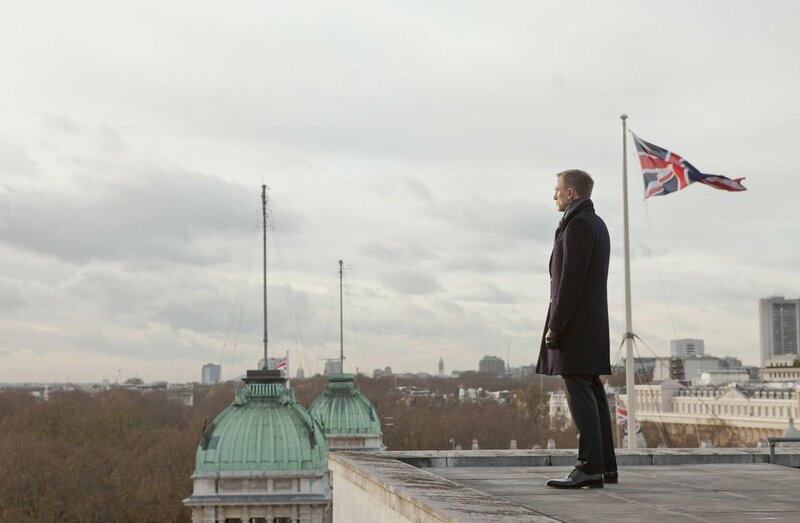 One of the reoccurring characters in the franchise is Bond’s boss M, who is in charge at MI6. Yes they have playful banter back and forth through dialogue but have you ever noticed how mad M usually is at him? After twenty-four movies certain storylines repeat after awhile. One of the ones that repeats, almost every movie, is M being fed up with Bond for one reason or another. M – “Oh, you saved a group of children from a bomb?” WELL! Did you have to drive your Aston Martin through a petting zoo to do so? Having too nice of a hotel room while on the job. Checking to see if she’s alright after she’s been injured. Kidnapping her to save her life. If I had Bond’s job, and my boss took issue with me on these things I’d quit or shoot them while flashing my license to kill. Yes he has associates but they never really go beyond that. Yes he has been with countless women but they go as quickly as they come. Oh, he was married once but as they left the reception she was immediately shot and killed. Also, his half brother was revealed to be, in his words, “The author of all your pain” in the last four Bond films. AKA he killed the woman he “loved” and sent countless dudes to kill him. Talk about an awkward family reunion. I don’t know about you but having a hotel room to myself, in my opinion, is awesome. Bond usually has hotel rooms to himself but he has to be on constant guard because all these henchmen/henchwomen are trying to get in to kill him. Not only that, there has been several occasions where Bond has walked into the room and found a dead body just laying on the bed. I wonder what the maid thought when she came in to make the bed? I know if I ever walked in on a dead body, I would never stay at a hotel again. It’s no secret that Bond has slept with some of the most beautiful women in cinematic history. Out of the twenty-four films he has slept with around sixty women. This doesn’t include the ones he’s only made it to first base with. The odds of him being “clean” after all these girls are slim to none. Some of these women he gets with are involved with the villain and the villains aren’t always the cleanest looking dudes. There is just no way he hasn’t contracted something through he escapades. Picking up STDs is the last thing I would want to happen at the office. I wonder if he would be able to file for workman’s comp. over it? So these are the five reasons you wouldn’t want to be James Bond. You might be thinking I have something against the films. To that I would say, “Calm down, hipster.” I don’t hate the movies, in fact, I re-watch them countless times and get more excited than I probably should when a new one comes out. I just would rather watch him go through all this crap than experience the situations first hand.